We’ve all read romance novels at some point in our lives. Now, as writers, perhaps some of you want to enter the romance novel scene. Whether as a ghostwriter, using your own name, or using a pen name, there will be times when you face a roadblock in your writing. There are solutions for that. You can wait till your muse comes to visit. You can force your way through the block. Or you can coax those juices with some writing prompts. 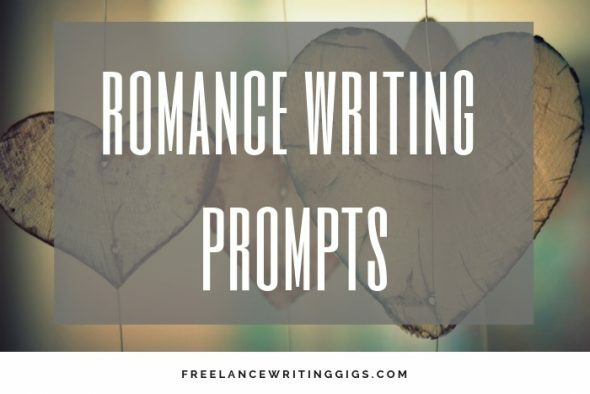 Here are some creative writing prompts for romance novels. 1. What is your favorite romantic comedy movie and why? What would change about the movie if you were inserted into one of the main or supporting roles? Talk about these changes and go into extreme details. 2. They were at the altar, about to say their vows. Suddenly, she imagined them as a couple facing issues of divorce. What happens next? 3. You’ve been in love with a high school friend for as long as you can remember but the feeling was never reciprocated – until your paths cross again decades later. Create a scene where chemistry develops between the two of you. 4. Write a romance that is developing when the main character is dealing with intense suicidal thoughts. In some ways, the romance helps her and doesn’t help her. What happens next? 5. Two strangers meeting at an addiction recovery group meeting and how they connect because of one party sharing his/her story. Write about that person’s story. 6. Write a story about two best friends who are fed up trying to find love on their own. They consider trying to start a relationship with each other since they both find each other attractive and know they are great people. However, there is no romance or chemistry between them. 7. Who is your favorite television or movie couple of all time? What is it that made them such a fantastic couple? What can you learn from them in your own life and relationships? 8. Write a romance which starts with the line “I was struck by the horrible stink that seemingly came out of her every pore”. 11. Write about two people meeting at an old abandoned house, getting stuck there overnight, and how they fell in love. 12. Write about two seemingly ordinary people get married only to find out later that one is a murderer. 15. Even though Jake the last of the pancakes, Leonard couldn’t find it in himself to get worked up about it. 16. He loved here. But he feared her more. 18. They met on a trip almost a decade ago, and sparks flew. They live worlds apart and haven’t seen each other since then, only keeping in touch now and then on social media. Now, they’re planning on meeting up again. 20. She walked up and down the beach every day at 6 A.M., a red shawl always wrapped around her. What’s her story?